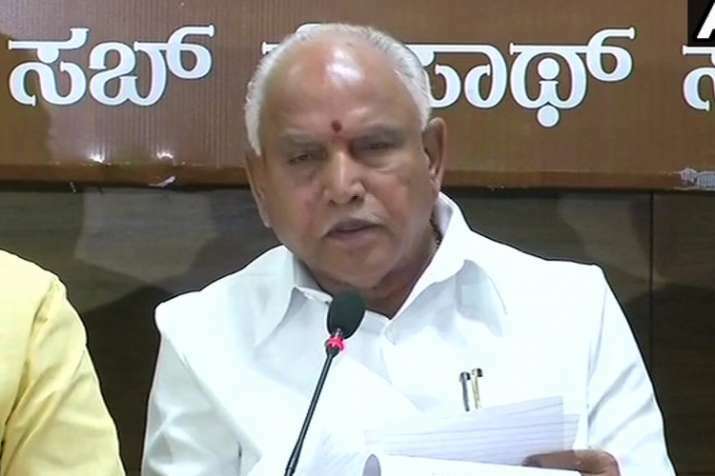 BJP's Karnataka unit chief B S Yeddyurappa today said he met Governor Vajubhai Vala and asked him to allow him to take oath as chief minister as the party had emerged the single largest party. Earlier in the day, Yeddyurappa said he was confident of forming the government. He also said Independent MLA Shankar had submitted a letter offering his support to the BJP. Union minister Prakash Javadekar had said an attempt was being made to create "unnatural tension". "People are with us," he said.